Previously, we reported that you can snag a copy of Red Dead Redemption 2 early at Target. The store’s weekly ad mentioned you can pick up a copy of the game at 9 pm (local time) on October 25, 2018; three hours ahead of its midnight launch. However, that’s not the only retailer with this offer. GameStop and Best Buy are offering the exact same deal, allowing you to get the game at 9 pm (local time) on Thursday, October 25 as well. Head to any of these three stores’ locations to get your copy of Red Dead Redemption 2 ahead of the official street date. However, Red Dead Redemption 2 itself won’t unlock until midnight. But considering the amount of time it will take you to install that 100GB game, the early release is still something to be grateful for. Think of it as a preload but for physical copies. 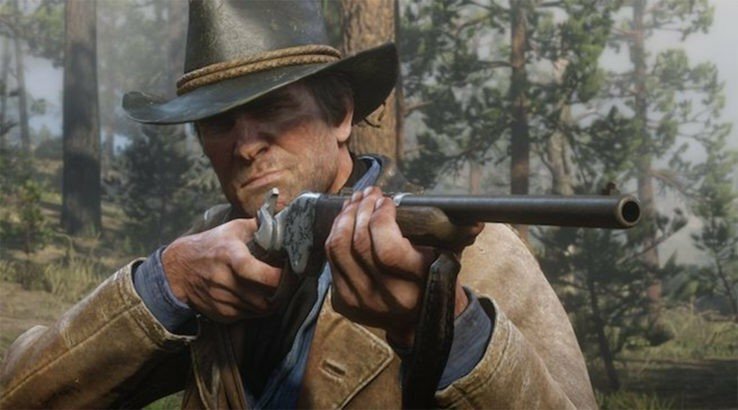 Being able to get a copy of Red Dead Redemption 2 early is no easy feat, considering that independent retailers and GameFly are getting the game late. Will you be taking advantage of this deal? Ride into the comments and let us know. Regardless of your situation, Red Dead Redemption 2 arrives on October 26, 2018 for the PlayStation 4 and Xbox One. Red Dead Online will arrive shortly after and give PS4 players thirty days early access to some features. Stay tuned for when the Red Dead Online beta launches November 2018.